The question, often asked, about whether I have gone back to Brazil since leaving has a simple answer (“Yes”) and an existential one (“How do you go back to a place you never really think you left?”). This is the account of my first – and only – trip back to my hometown, Santa Rosa, RS. I left in 1964, barely a teenager, and returned, sixteen years later, married and the father of a newborn daughter. 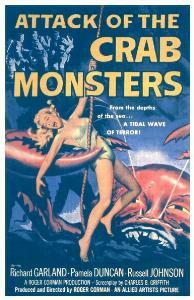 As the title says, it was a fateful and life-changing trip. The ground was a brick-red spotted with infrequent clumps of green (tree groves) and brown (short-horn cattle) in no discernible pattern. Now and then, a cultivated field bordered by narrow roads appeared and eased away beneath our low-flying twin-prop. It was the last leg of a trip across sixteen years and 6000+ miles, a 28-hour journey begun in Philadelphia and about to end shortly on a dirt-strip in the interior of Brazil’s southernmost state. I longed for and yet dreaded what awaited me at the one-room terminal. It has been almost a lifetime since those two weeks in July of 1980, yet they proved to be the balance point to eighteen years of my adult life. None of it was apparent at the time, none of it foreseeable. I was born in Hong-Kong, where my parents had temporarily settled after fleeing China ahead of the Communist take-over in 1949. Being both university-educated and of “bourgeois” heritage (my paternal grandfather had been the last of five generations to serve the Ch’ing Dynasty in military posts), they had had little faith in a future under Communism. Having already lived the turmoiled history of modern China from the end of the Empire through the civil chaos of the 1920s, the Japanese invasion in the 1930s and World War II (and civil war again) in the 1940s, their desire in middle age was for stability and security. Thus, despite their six years there, the Hong-Kong of the early 1950s — like the politically unstable Brazil of the early 1960’s — was always regarded as only a way-station on the road to the USA. My father spent his year visiting USDA research stations in the Midwest and Deep South, deeply affected by witnessing a land untouched — unlike China — by the Four Horsemen of the Apocalypse: War, Famine, Conquest, and Death. 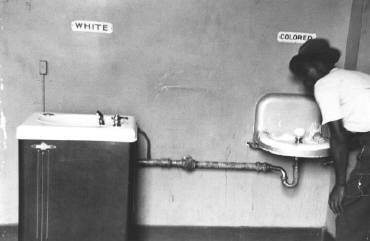 It was also quite an eye-opener into the Jim Crow-era of separate water-fountains and being told to come up to the front of the bus because the Colored sign did not apply to him, as Asians were “honorary whites”. By l956, when we left Hong Kong, Chinese expatriates had laid the foundation for many industries in Brazil: my father’s contribution would be in the area of vegetable oil refining, particularly of soy-beans. He accepted a position with friends who had been more adventurous in preceding him, and after a month-long sea voyage on the M.V. 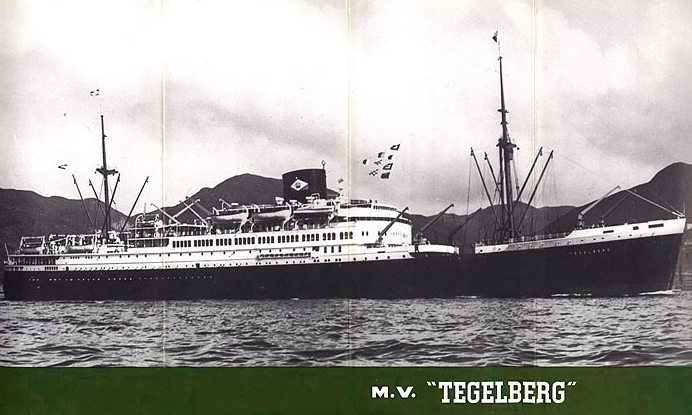 Tegelberg (see blog entry) whose sights and experiences remain the strongest set of my early memories, we landed in Santos, the port city for Rio de Janeiro. 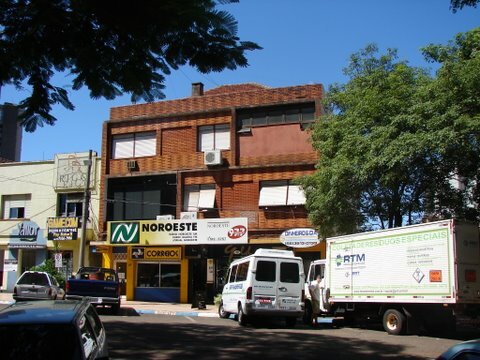 While we spent the first two years in Uberaba, Mina’s Gerais, state almost at the center of the country, my Brazilian hometown is Santa Rosa, where we lived for the rest of the years there. – No television station (or reception); one radio station. No supermarket most of our years there; one newspaper. No Chinese restaurants (! ); one news stand. No municipal water-supply; one taxi company. No passenger train service; one bus-line. No department stores; one (equipped) public playground. No public tennis courts or swimming pool; one public soccer stadium. And, perhaps most amusingly, the one exception to the rule — besides churches: one ostentatious hotel, but many (discreet) brothels. On rare occasions, it was a draw-back: we didn’t find out that JFK had been assassinated until I went to school the following Monday — my twelfth birthday. (I learned when, fooling around on the playground during recess, a classmate said: “Stop acting crazy, like the guy who killed Presidente Kennedy!”) The lag time between a film’s release by Hollywood and it’s local premiere at the Cinema Odeon was measured in years. Candles and lamps supplemented the often-unreliable power supply, while food-shopping included 5:00 a.m. treks twice a week to a farmer’s market of horse-drawn wagons from the countryside. (My adult love of orange juice is due as much to its taste and nutritional value as to its now-easy availability being a triumph over the past: no more dragging loads of fruit over six blocks of cobble-stoned streets and hauling them up four flights of steep stairs.) All bath water (three potfuls in the winter months, two in the summer) was heated on a stove fueled by propane tanks exchanged every few weeks, and clothes were more often homemade than store-bought. The Rotary and Lions’ Clubs dominated local social life, and soccer was, of course, the universal sport. Balancing these “minuses” was a childhood rich in everything else. Far more acceptable (and age-appropriate!) entertainment were feasts on Saints’ days, churrascos (the barbecues for which my state were famous), Carnaval celebrations, movie matinees, evenings of travel-slide shows in the school auditorium, and the Haley-like annual visit of the one-ring circus featuring a two-headed stuffed cow. The changing of the seasons was also marked by church bazaars where professionals, hired by the parish priests, ran the games of chance that fleeced the local flocks for the de facto State religion, Catholicism. During Carnaval, each of the two social clubs would set aside an afternoon for a Children’s Ball where the music and dancing released all the ebullience and joie de vivre in the Brazilian character. It was on those occasions, when the samba’s primal rhythms overcame 4000 years of Chinese culture, behavior, and inhibitions — and I danced! — that I most felt Brazil being spliced into my DNA. (This is why I always answer the question “What are you?” by saying “Chinese in my genes, Brazilian in my heart, passions, and expressions, and American by circumstances and necessity”.) The Balls were also my source of seasonal popularity because my father, the chemist, formulated a concoction for spraying on the revelers which competed very successfully with the commercial ones of clear perfumed-water. We named it “sangre-de-bói” (bull’s blood) because it was red at first contact but would revert to a clear state after a minute’s exposure to air. It was against this back-drop of small-town life, when pre-teen friends were already losing their virginities in a society that was at once Catholic and casually carnal, that Romantic Love struck. Clarisse was of German origin, her family one of a sizable number that had been drawn to that part of Brazil since the 1840’s. Her father’s dairy products company was a major employer and, by 1980, a statewide model of vertical integration and efficiency selling everything but the meat and the moo of a cow. Santa Rosa being almost medieval in its socio-economic structure, our respective families were parts of different “guilds”. Thus, the relationships between the Germans and the very few Chinese were cordial but superficial. Since the two communities did not socialize, she and I did not cross paths until I changed parochial schools. We became classmates beginning with third-grade and remained so until our respective moves four years later. Vinícius de Morães, the boulevadier of Rio’s cafés, Brazil’s beloved poet and diplomat honored with the ambassadorship to France and best known for the lyrics to some of the the most enduring songs of the Bossa Nova era that put Brazilian music on the world map (click on any of the titles to hear them: The Girl From Ipanema , So Danca Samba (I only dance the Samba), once wrote a poem about all the diminishing “firsts” that, as life progresses, can never be shared with a new love. To Clarisse belong my first tentative grasp of a hand in a darkened theater, my first kiss, and my first “I love you”. Yet more than any outward expression, she is responsible for my first sensation of not feeling alone anymore. She was intelligent, thoughtful, sensitive, her beauty not obvious or empirical like a model’s, but from character, and thereby inescapable. Every feature of her face led to the eyes, their coloring now forgotten, but not their depth. There were prettier girls and — always — “easier” ones, yet even then, somehow, I could distinguish between the shallow and the lasting. The word “soulmate” was not yet in my vocabulary, but it would have served well to describe my sense of our connection. My contentment came as much from silent companionship as from conversation; we were Romantics, our movie dates in the orchestra seats not the balcony. Among my male friends, both my silence about and my behavior with Clarisse — relative to their own detailed accounts of budding sexual exploits — were sources of amusement, but I had already established my own rules early on: “don’t ask, don’t tell…..always listen”. The simple explanation was that she was the kind of girl one married. In the context of that time and a Latin culture this was understood and accepted. For most of those years our connection survived the variety of teasing and shifting pairings universal for that age group, but we were no longer formally namorados (“the enamored ones”, i.e. boy-friend/girl-friend) when she departed for boarding school six months before I left Santa Rosa forever. We could write — and did for those months — but we said good-bye during her last visit home without knowing it was to be sixteen years until the next time. Paralleling this change, a bigger one was about to take place after two years of uncertainty. 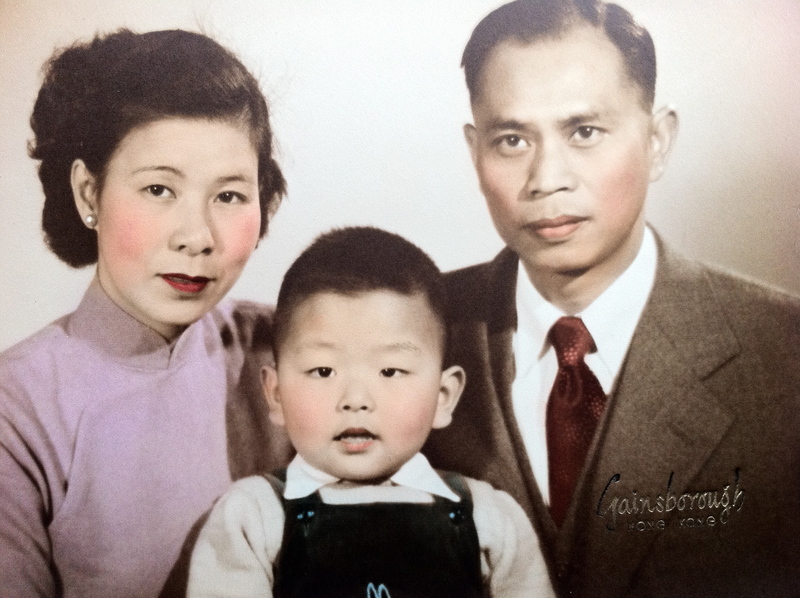 In early 1964, my mother and I were finally granted visas to immigrate and join my father in New Jersey. It was both a dream and a nightmare become reality. To my circle of friends, “The United States of America” was Oz’s Emerald City, a place filled with splendid marvels. I was a country-bumpkin only slightly more sophisticated than Dorothy. I knew I would see things — the 1964 New York World’s Fair, for example — heretofore only read about or briefly glimpsed in newsreels, yet the price would be horrific: loss of everything familiar and the unlikely prospect of return visits. My parents, particularly my mother, had no backward glance for Santa Rosa or Brazil. Being too young to know that hope is deferred despair, I left carrying the closely held (but vague) notion that Brazil would be my home again after “making my fortune” in America. Over the next ten years, the frequency of our letters fluctuated with the crises of adolescence and early adulthood. Like prayers, there were more in times of need, and fewer when an active life made them more a habit than necessity. Yet, their flow never ceased. (I have them all still, every letter and postcard that reached me.) In hers, she recounted her unhappiness at being away from home in boarding school, her success in finally passing the competitive tests to study veterinary medicine, and the disappointing relationships with men. I wrote of the trivial and the important, comparing suburban New Jersey (and later, Philadelphia) to Santa Rosa and its pace of life, describing styles of being and values that were alien, and my own efforts and successes in assimilating them. My gradually declining writing skills in Portuguese were an increasing frustration, but our long history, emotional connection, and the fact that the shortest words and simplest sentences often convey most powerfully, made it bearable. Our correspondence was also an oasis, a solace to my own sense of isolation and rootlessness here, and a link to what I still regarded as “home”. At different times, but often within the same moment, our connection both amplified and ameliorated my feelings of “saudade”, a word without a direct equivalent in English. “Saudade” is a home-sickness, not just for one’s own home and family, but for the smells, the vibrancy, the soul and heart of a place and a culture. It is melancholy and yearning, happy memories and the living pain of remembrance: it is looking at one’s own eyes in a mirror and seeing what was left behind. Approaching the one-room terminal next to the dirt-strip, my first surprise was Clarisse’s very visible pregnancy. We discovered that the letter relating it had never arrived. 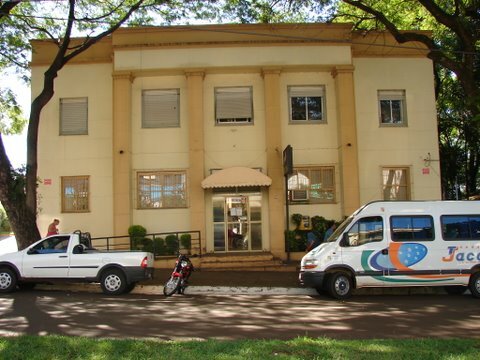 (This was not surprising: the Brazilian postal system was notoriously inefficient.) However, it did not diminish the impact. I knew about three-year-old Carolina, but the sight of Clarisse as an expectant mother was entirely unexpected and difficult to absorb. My visualization of her as an adult, based on how she had looked at thirteen, had been the actress Virginia Mckenna as Joy Adamson in the movie version of Born Free: blonde, trim, regal, khakied, and surrounded by animals. Here, instead, was a Clarisse so far along in a pregnancy that my eyes, drawn to an enlarged mid-section covered by a floral-patterned maternity “mumu”, missed that first eye contact and all its questions and answers it might have held. Instead, disoriented by a host of thoughts and emotions, all I recollect about those first few minutes is the propeller-wash dusting our faces as my luggage was gathered by her driver. During the plane’s uneven descent, it had suddenly struck me that, in all of the sixteen years of imagining and planning the journey back, I had never gotten beyond that moment of arrival. My last thought before the walk down the three lowered steps had been of a card in the Tarot deck showing a finely dressed and smiling young man with eyes focused on something high in the far distance, completely unaware that his next step is over the edge of a precipice. We spoke awkwardly during the hour-long ride to Santa Rosa and her house. The presence of the driver, my re-immersion into spoken Portuguese, the lack of sleep, our sharing of the same physical space after sixteen years; all these contributed to a very stilted conversation. I felt disjointed, as though the “me” was a homunculus peering out through a stranger’s eyes. Over the next few days, as I met her husband, Paulo, a chain-smoking bank functionary who looked like a thin Chè Guevara, and settled into a guest room and the daily routine, this sense of strangeness and apartness continued to grow as I retraced the routes of my childhood. It was a necessary pilgrimage but also a welcomed distraction as I tried to collect myself.. Continuing next door, what had been an imposing three-story Municipal Hall had now shrunk in stature before eyes that had also seen The Empire State Building, The Eiffel Tower, even Philadelphia’s own City Hall. The one-room library on the main floor, the place where I had looked at a newspaper’s map of the Americas and seen with relief that Santa Rosa was outside the range of Cuba’s missiles during The Crisis, had been relocated to another building. Long departed was Dona Dorotéia, the librarian who had fed my imagination and reading habit with books by Edgar Rice Burroughs and Conan Doyle, military history and classics from Greek mythology. The space was now haphazardly partitioned into office cubicles, the imposing floor-to-twenty-foot-ceiling windows majestic no more, their shafts of light interrupted and deflected by so many obstacles that the shadows made the room and furnishings into a Cubist painting. It was easy not to look back when I left and crossed the road to stroll through the Plaza and adjacent streets. On the last Sunday evening in June of 1962, the mosaic stone paths had been lined with Roman candles, sparklers, and every size fire-works imaginable — just for the taking! — as the entire town had optimistically prepared for the results of the World Cup Final between Brazil and Czechoslovakia. Ghostly-still during the game, the streets flooded with people at the news of Brazil’s 3-1 victory and the World Cup Championship for the second consecutive time. For one enchanted night there was no hyper-inflation and no class distinctions, only trucks and cars jammed with swaying, dancing bodies in joyful madness forming a pulsating, multi-colored necklace around the town center. My friends and I had darted among the adults, grabbing what we could, and setting off an endless fusillade of rockets and firecrackers in a celebration that continues still in my mind’s eye. Now, the paths were dusty, uneven, and chipped like bad dental work, and the topiary bushes, their animal shapes once so crisp and magical, just amorphous masses lost in other growth. The strong pastel colors of the buildings had also faded and their physical aging, combined with the seeming lack of maintenance, gave everything I passed a tired look. Streets which were cobble-stoned in 1964, still resounded with the echo of horses’ hooves. The news-stand, the focal point at one corner of the plaza, was gone, the blind owner, a Gilbert Roland look-alike inseparable from his white German shepherd, killed a few years earlier by the husband of a lover. I remembered that he had let me read comic books in exchange for running errands. That afternoon, following a lunch of deep-fried meat pies at a small stand, I walked through a heavy downpour to arrive outside the house where we had lived before the apartment. My eyes saw the past, like scenes from a family video no one had filmed. On this side porch, I had cried as my mother, in punishment for something now forgotten, smashed the only battery-powered, muzzle-flashing Japanese-made ray-gun in all of Santa Rosa. Around the back, the grape arbor my father built still stood, though it was bare. The extension housing the pump-house and the maid’s rooms seemed to sag under the rain and was a depressing, water-streaked sight. The side-yard where I had hidden so many times during games was now cleared of plantings and just an unadorned brick patio. And, across the street, the field of our viciously competitive “for keeps” marble tournaments was now surrounded by a wall covered with political grafitti and topped with barbed wire. It was still empty. Encountering a young woman leaning out of an open window, I identified myself as a former resident. As I told of my association with the house, the discovery that her husband was an executive working for Clarisse’s father resulted in an invitation to come inside. Touring the rooms, I felt the out-of-body disjointedness a person might feel observing their own funeral. More time within those walls would perhaps have changed my reaction, or at least sharpened the images of 1980 for comparison with my childhood ones. However, I stayed no more than a few minutes, distracted by the dual task of absorbing everything and speaking with her and her two young children. The rosy memory of those rooms when it was my world is now surplanted by the blurred images left from that visit: the shabbiness of their furnishings, my former bedroom suffused with the dull grayness of a sunless afternoon, the wear of the additional years and little up-keep, and the syncopated sound of raindrops drumming on the red-tiled roof. In the next days, those childhood friends that I could find had grown into adults I hardly recognized. Boys of equal or lesser height at age thirteen had outgrown me and now towered over my modest height as we stood, awkwardly, finding no commonality beyond the strangeness of my appearance from such a physical and temporal distance. My friend Eleonora, who at thirteen had been the object of much lusting by classmates (and at sixteen a Debbie Reynolds look-alike by a photograph she sent), was now a plump, clothes-ironing hausfrau in a shapeless dressing-gown, living with her journalist husband above a printing shop. Ivo, already tending to heaviness at age twelve, had transformed into a barrel-size insurance salesman with a jolliness I found disconcerting but not surprising. Ciro and Zezi, two brothers of gentle temperament matching their small sizes, and inseparable as Siamese twins, were now both oaks to my sapling but still open-faced and open-hearted. With each encounter, the same greetings and familiarities were repeated without me finding the words to move beyond them. In truth, my friends were hospitable and warm as only Brazilians can be hospitable and warm, but I was in a state of cultural and emotional shock. I felt myself withdrawing more and more, frustrated by the realization that the visual and emotional memories, smoothed and polished for sixteen years into a near-perfect state, were being irrevocably and irreparably replaced by their contemporary reality. My vocabulary was more than adequate to speak the Portuguese of polite conversations, but not to express the full range of adult feelings and thoughts. I also missed my wife and newborn daughter terribly and telephoned them with increasing frequency, counting the days until my scheduled return flight. Worst of all, Clarisse and I could not talk. I avoided the questions I could see forming by keeping the topics light and external. I accompanied her on rounds and observed her interacting with ranchers and farmers, marveling at her competence and the clear respect and deference these men exhibited for her veterinary skills. I asked the appropriate questions, but it was all surreal: I had focused all my planning on the logistics and mechanics but none on the emotional preparations necessary for the trip. I had not thought about what I wanted or risked. And, unbeknownst to me, a parallel disintegration of my real world and life in Philadelphia had begun, contributed to — in no small way — by this trip. There was only one conversation during which we almost had a break-through. Paulo, Clarisse, and I had been invited to a get-together at the apartment of their friends. A dozen of us sat in a circle and played parlor games that gave the evening an oddly Victorian charm. During a break, she and I stepped out onto the balcony, slid closed the glass doors, and stared at the fog-shrouded trees and misted lights of the square. Though the noise of the group did not reach us, we could see their animated gesturing through the condensation on the glass. 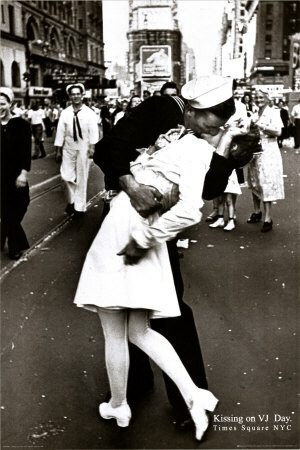 I could feel their camaraderie: they looked happy, in a world that was whole and solid, and to which I did not belong. We did not speak and stood quietly for a few seconds… or several minutes. I don’t know. Eventually, Clarisse broke the silence. The words are gone, but the care and concern in her tone, the desire to transcend our other conversations: that still remains. I believe she sensed my emotional disorientation from facing, in such a concentrated form, the Santa Rosa that was the past for me but the present for those who had not left it. She struggled to make herself understood, her eyes vivid with sadness and frustration. Bypassing speech, they reached into mine and asked questions for which I had no answers. It was futile, partly because our common language was now inadequate, but mostly because I would not have been able to explain — even to myself — the timing of and my reasons for making the trip. It was not until years had passed — and the damage permanent — that I would understand. Given a second chance, with the benefit of reflection during the ten years of hopeless purgatory which my marriage became until its dissolution, I would have told her that it was happiness and completion, with a wife and a daughter that consolidated us as a family, which gave me the freedom and confidence to face the might-have-beens of the past. I would have told her that her part in my childhood — and its ripples through years afterwards — had sustained me emotionally when nothing else had or could. I would also have told her how right she had been to see that our lives had become too different, our common ground only in memories, and that her marrying Paulo six years earlier entirely the right action. I would have thanked her for that wisdom and then extended a great abraço, the traditional bear-hug between close friends, and made peace — at last — with my past. Instead, a multitude of emotions that included regret, sadness, and foolishness combined with a desire to get away as quickly as possible. Cowardice or confusion, it was immaterial: I lacked both the words and the emotional tools to sort out and communicate all that I felt. I pled urgent business at home in order to cut short my stay, despite knowing that something unrecoverable had been lost. I would like to write that the actual leave-taking from my childhood was satisfying, like a quenched thirst, but all I recollect is the flat tire during the drive back to the air-strip and some strained joking about having to stay longer. Walking to the plane, I dared not look back. I spent the extra two days in Rio, staying at the Arpoardor Inn and walking Arpoardor Beach. I needed to collect myself for the inevitable questions at home and to reflect on the things I knew I would have to remember — and to forget – for the rest of my life. What was to have been a voyage of self-discovery, of putting into adult form a seminal relationship, became instead an act which helped destroy both a cherished past and the post-trip future. Attainment had transmuted my Holy Grail into a tin cup, and I did not yet understand what had made it so. 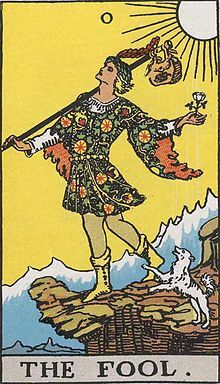 Since that day, The Fool, has served as a reminder.